God is with us – all of us. As Episcopalians, this reminder is woven throughout our worship services and compels us into lives of faithful action in our communities and worlds, seeking and serving the image of God that is found in every person. 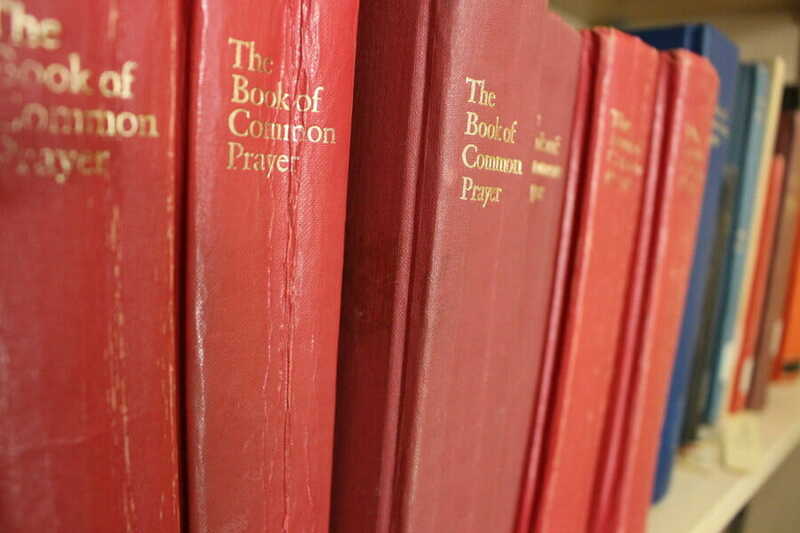 As members of The Episcopal Church, our worship is grounded in the liturgies* found in the Book of Common Prayer (BCP). No matter what church you find yourself in, this red book greets you with a wealth of devotional resources and information about the Sacraments of our common spiritual life. *Liturgy (pl. : liturgies): From the Greek “leitourgia,” which means “the work of the people.” Liturgy is both the public prayer and worship of the people of God gathered in community and the texts of the rites that enable this public worship to take place. The focal point of our worship services is the Holy Eucharist (also called Mass, Communion, or the Lord’s Table). In this Sacrament*, we come together as the family of God to receive the bread and wine, acknowledging our unity with God and each other, and anchoring ourselves in the holy love that strengthens and nourishes us. We will continue in the apostles' teaching and fellowship, in the breaking of bread, and in the prayers. We will persevere in resisting evil, and, whenever we fall into sin, repent and return to the Lord. We will proclaim the Good News of God in Christ by word and example. We will seek and serve Christ in all persons, loving our neighbors as ourselves. We will strive for justice and peace among all people, and respect the dignity of every human being.